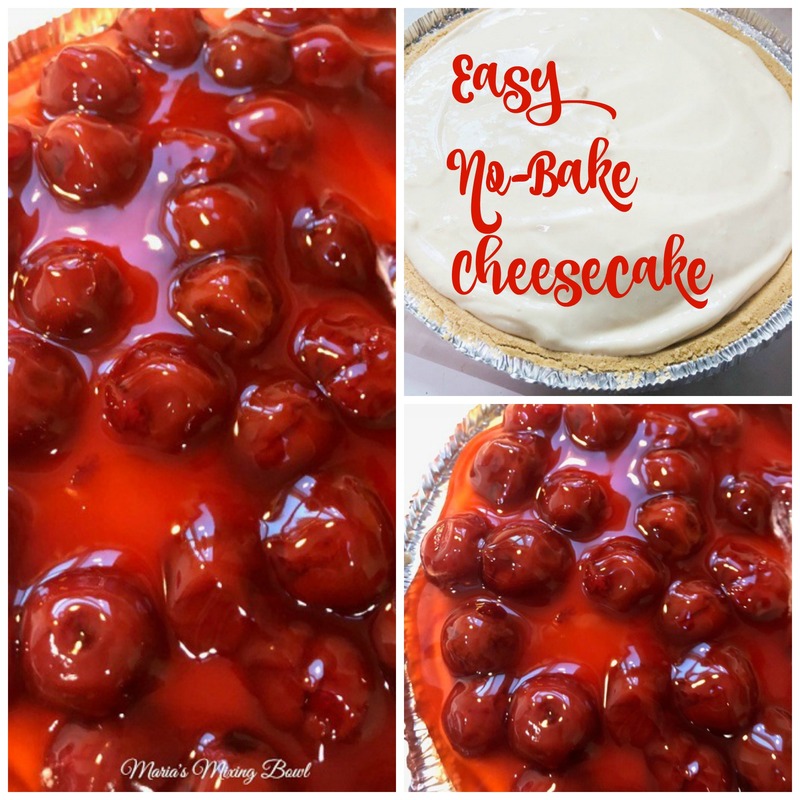 Easy No Bake Cheesecake is a delicious and simple cheesecake that can be made in just a few minutes. 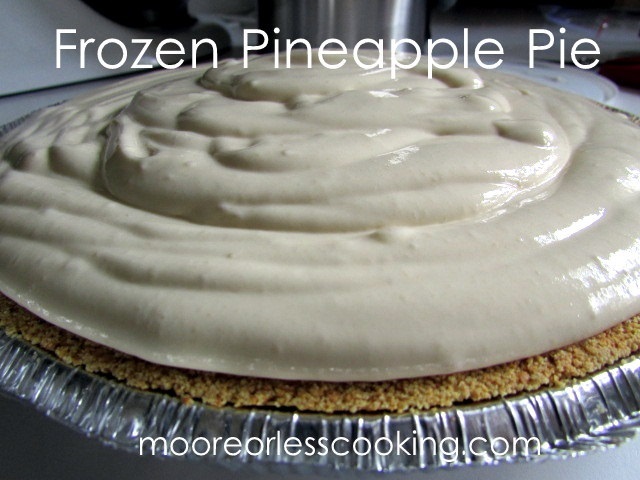 One of the best go-to recipes when the time is short and we need a simple and quick dessert. 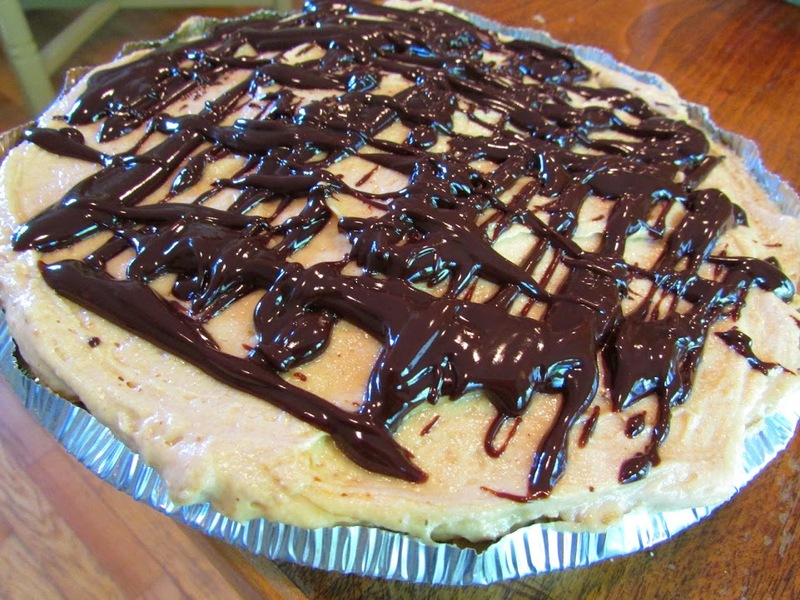 Easy No Bake Cheesecake takes just 10 minutes to make. Just 6 ingredients and you are good to go! 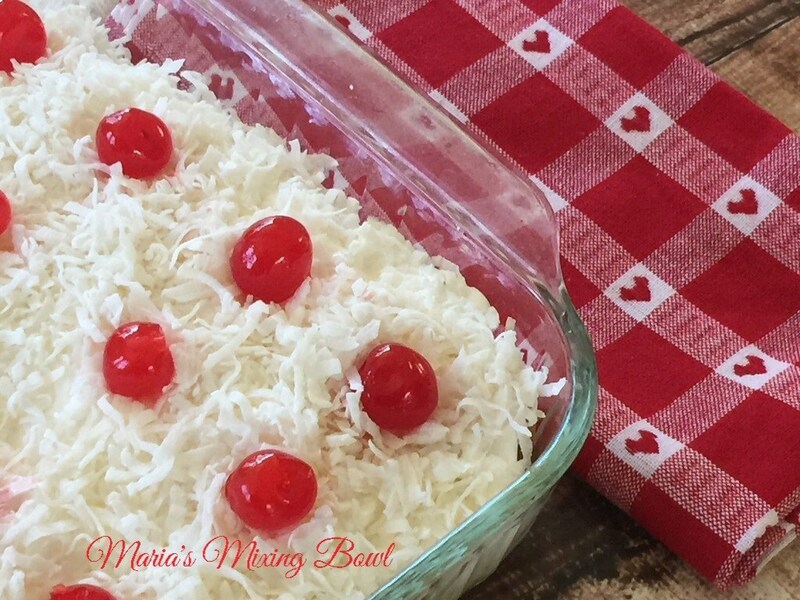 My guest blogger today is Maria’s Mixing Bowl. Just a little bit about my friends from Maria’s Mixing Bowl: Maria is a former hairstylist and full-time foodie. Growing up in an Italian household food was the centerpiece of everything. She enjoys cooking and sharing her recipes. Maria especially enjoys making easy meals that can be enjoyed by her family. She tries to make every recipe as easy as possible. My kind of cook! Maria enjoys all kinds of food including low carb dishes, recipe re-makes, family favorites, some recipes that she has been making since she was a child, recipes from her Mom’s recipe box, recipes that she makes over and over for her family, comfort foods and more. She likes to take recipes and re-make them by taking 3 or 4 recipes and putting what she likes from each of them together and coming up with one amazing dish. Rob, Maria’s husband is her kitchen helper and spends plenty of time in the kitchen as well. Especially since Maria became sick last year. It is their time together so this is his blog almost more than hers. Sometimes Maria just lets Rob take over and do his own thing. It’s always delicious. He has many talents so he should show them off!! Rob and Maria not only love spending time in the kitchen but also love spending time in the beautiful state of Maine. That’s where I live! I hope that we can meet in person this summer! They enjoy spending time alone, taking long rides and just doing nothing together. Pretty simple but that’s what they like. So, back to the Easy No Bake Cheesecake. The most important part of this cake is to let it set overnight. Yes, it will set up pretty well after 4 hours but allowing it to set overnight makes a big difference. 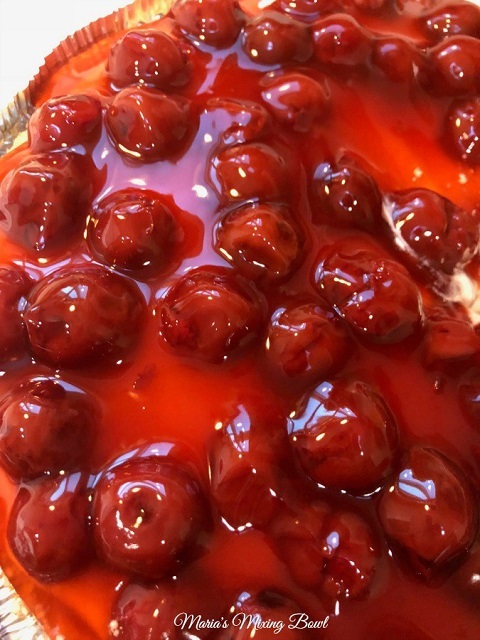 Easy No Bake Cheesecake is delicious with any fruit topping you choose to use. Blueberry is a favorite and cherry for us. In the fall apple works well. Of you can make your own in the summer with fresh berries. 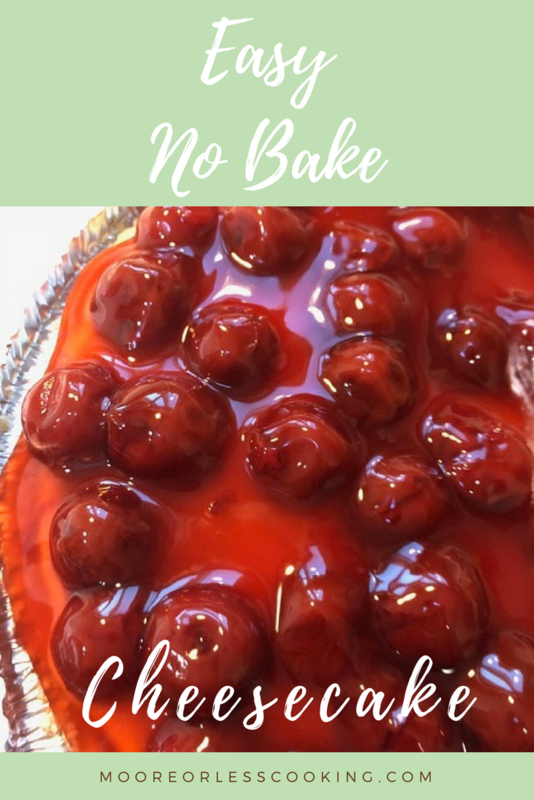 Easy No Bake Cheesecake is a delicious and simple cheesecake that can be made in just a few minutes. One of our go-to recipes when the time is short and we need a quickie dessert. Beat cream cheese in mixing bowl until light and fluffy. 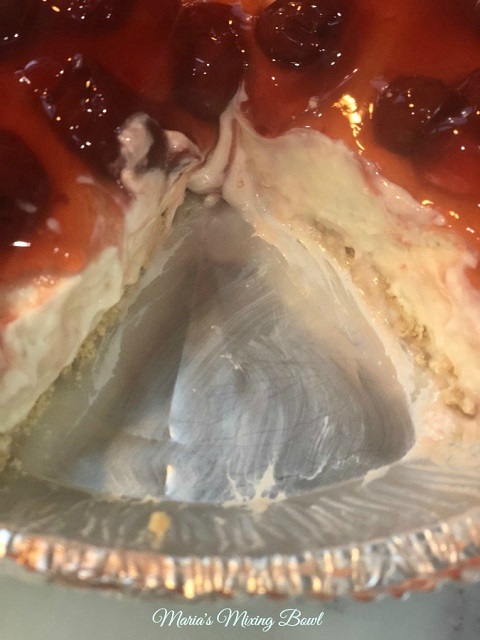 Turn into the pie crust. Refrigerate at least hours but preferably overnight. 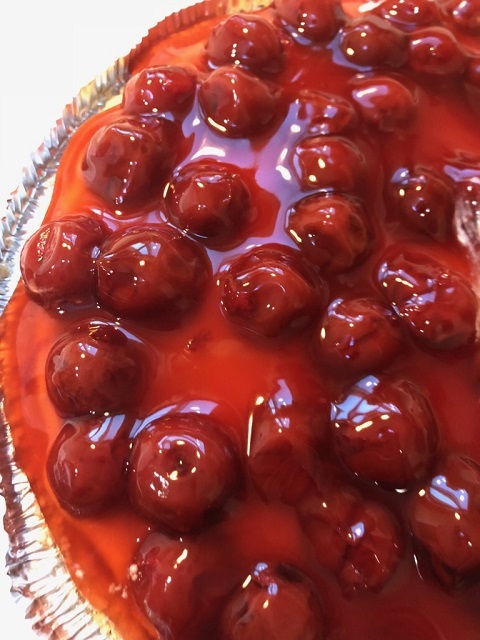 Top with chilled pie filling before serving. 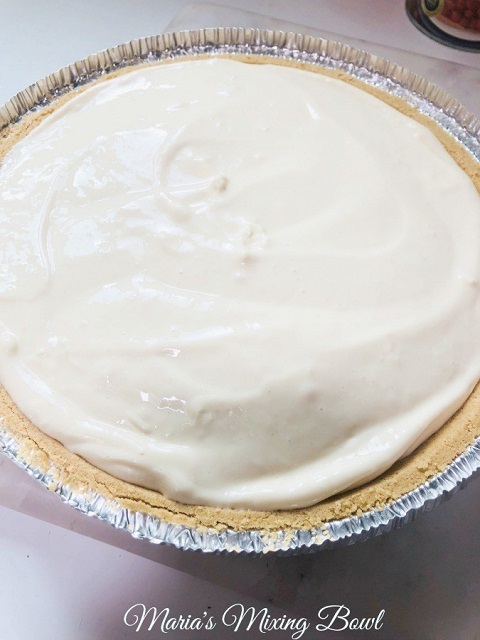 Easy No-Bake Cheesecake is a delicious and simple cheesecake that can be made in just a few minutes. One of our go-to recipes when the time is short and we need a simple, delicious dessert. So delicious and so easy! Thank you!